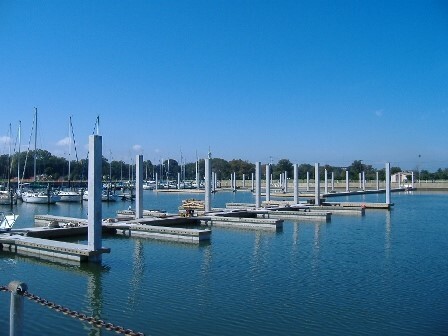 Crofton Industries was contracted to install the guide and mooring piles and 108 slip concrete floating dock. 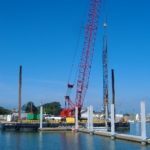 Crofton coordinated closely with the project owner to ensure that there was uninterrupted access to an adjacent airfield during the project. 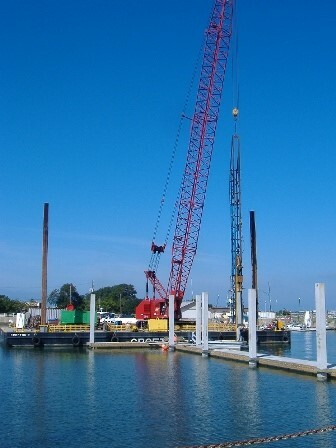 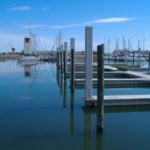 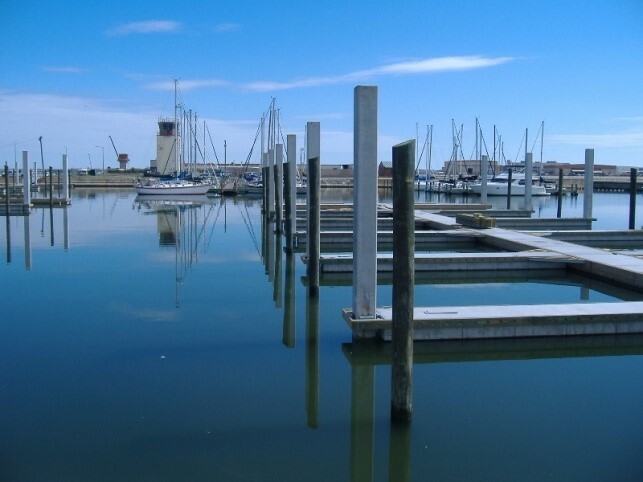 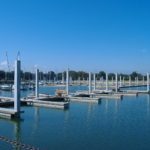 Fifty-seven 18" concrete guide piles, seventy-two timber mooring piles, and Crofton's 175 ton Manitowoc 4000W.